No, I didn't forget to make the thread. Haven't watch the film yet though. This is the version I grew up with and prefer. I like the pacing better and the inclusion of Burr as Steve Martin makes the events of the movie seem like they are being played out over a worldwide scale, not just in Tokyo. sh! someone might hear you say that and then tell you how wrong you are! better pacing is a good term here. while the original takes it's sweet time to get going (a la KING KONG, which it shares far more in common with than BEAST, btw) this one really gets moving. gotta love Burr's performance as well. Since I first got a boot of the Japanese version about a year after I saw this version (it was about 1996), I grew up on both. But even though the original version is vastly superior, I still really like the Americanization. I think its the only time one of these movies was Americanized and its been any good. Raymond Burr's narration is just downright chilling at times. 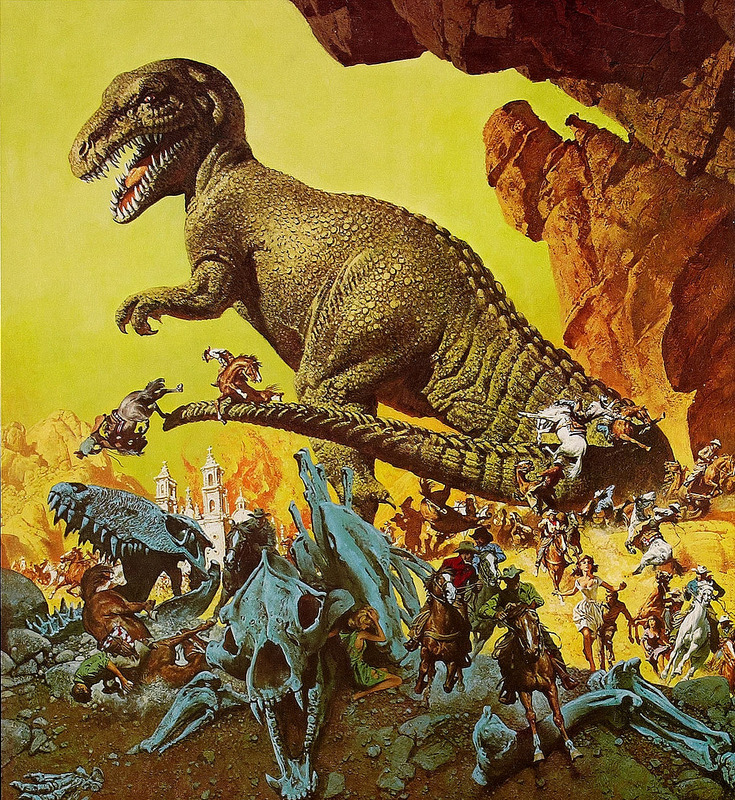 There were certain moments during this movie where I seemed to become unstuck in time and found myself in my old house, five years old, staying up late and watching KOTM (VHS rented from the local mom n' pop video store) in the big living room TV while I was covered in blankets on the floor. ...I seem to have a lot of memories like that. Why did I get to do this so much? Was it before I went to school? Summer break? Anyway, what I'm saying is that certain sounds and images of this movie were burned into my brain at a young age. It's neat now, being so used to the Japanese version, to see how they puzzled this beast together. You can't help but snicker a few times. 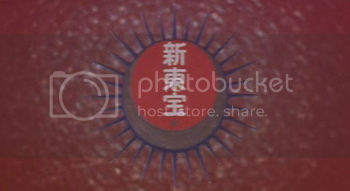 I noticed just how much texture the scenes from the original movie had. You feel like you can touch the stuff on the screen. The American scenes look very flat by comparison (the newsroom he's in during Godzilla's attack notwithstanding. That one matched up well). "Look at the size of those footprints!" Tuesday, I drove through the neighborhood where I grew up. One place that "jumped out at me" was the friend's house where I first saw GODZILLA KING OF THE MONSTERS when it premiered on Los Angeles TV in April 1960. I really liked KING KONG but GODZILLA electrified me because I knew that the Japanese had really been bombed and radiation could kill me if the Russians bombed my neighborhood. The vivid dread, fear and the sense of melancholy that pervaded the whole thing resonated with me. I wrote the whole story of how hard GODZILLA hit me back then, so maybe it was fresh in my mind as I drove past the places (mostly built over now) where I played as a kid 50-some years ago. "Godzilla King of the Monsters: April 1960, first run on L.A. TV, at a friendâ€™s house and it blew me away, changing my life. I loved KING KONG, but knowing so much of the fear, dread, and suffering of the Japanese people was real to them, and the fact that I could be hit with radiation too, (Cold War raging in 1960), the dreamlike imagery, Godzilla roaring through the smoke, the magnificent music, I remember the fish dissolving in Dr. Serizawaâ€™s office as being especially shocking. Besides scaring and electrifying me, I knew the message was a warning against nuclear proliferation. 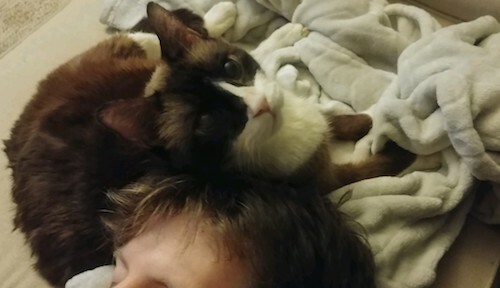 It was on twice daily that whole week and a couple more times that weekend. I probably watched it 6 or 7 times. Donâ€™t get me started on how GODZILLA affected this 12-year-old boy in 1960. 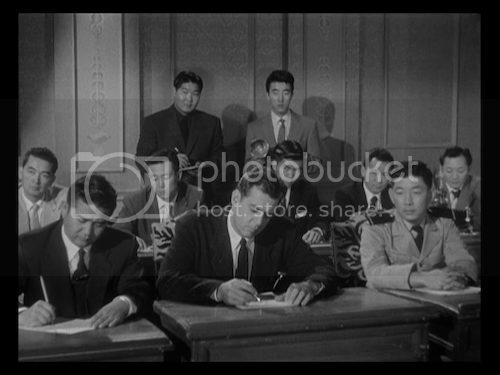 Then, after I caught on that there was an original Japanese movie w/o Raymond Burr, another story begins, so Iâ€™ll just say seeing the original (w/o subtitles) was a true revelation that sent my life in another direction." I love this movie! I love it even more-so than the original, though Gojira is justifiably the better film. The way that Joseph Levine patched this thing together so that it would be more accessible to western audiences was brilliant. 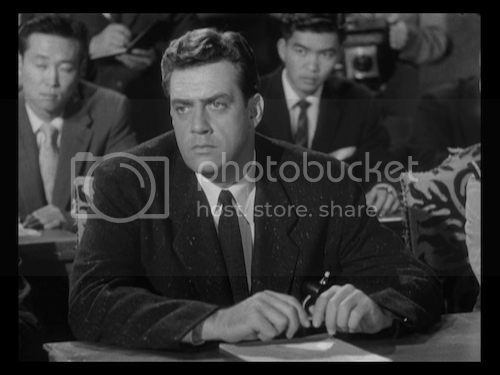 And who better than to narrate this terrible tragedy to the world than the great, Raymond Burr. Godzilla would not exist in America if it weren't for Raymond Burr (please try to understand the spirit of this statement, and not try to pick it apart. You all know what I mean by it). I'm resurrecting this thread simply because I've been (in my almost annual hype before G-Fest) watching a ton of kaiju films. I recently went through the classic media discs for the original Gojira and it's so weird how both films work. On one hand I end up watching the original Gojira and marveling at it, not only as a Godzilla/Monster movie but as a movie in general. Hell, I'd argue this thing definitely deserves to be in a top 50 general films or top 100 or something. It breaks a lot of movie monster conventions and manages to do so much with a genre that was about to become incredibly stale. Godzilla, King of the Monsters amazes me. I always think back about how strange it is that most kids I knew hated anything black and white and lacking explosion for more than five minutes. Yet when I watch KOTM I can't help but love it. This is the first godzilla film I owned, bought it at a Rose's, and I watched the damned thing till the tape broke and we had to buy another. Everyday I came home and watched this after school and it works so well. This is definitely the version younger G-Fan should watch or the film with which we should baptize our own children or nearby relatives with. The fun with this film never ends there though as, and maybe this belongs more in the Gojira thread, when they get a bit older you can watch Gojira and experience everything in a starkly different way. I love, love, love this movie and while Mothra vs. Godzilla/Monster Zero turned me onto the character/franchise this is the thing that drove me to seek out more and more of these movies. This was the only version of this movie that I had for many years. While it's still entertaining, it is greatly outclassed in almost every way by Gojira. 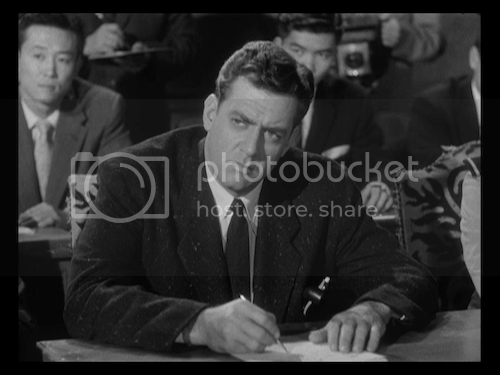 Not saying that Raymond Burr was bad or anything, it just seemed a bit less focused on the real story of the horrors of atomic war, which Gojira drove home in almost every scene. The King Of the Monsters was the version first shown in America. Godzilla became well know, because of that movie. 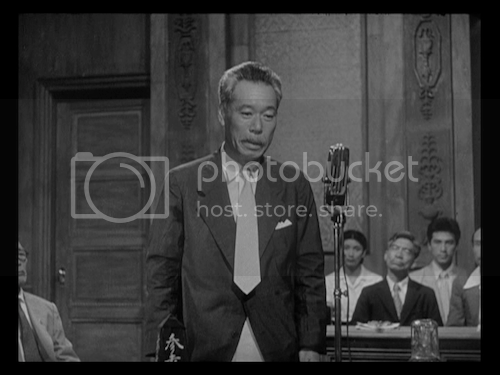 Watching the Criterion DVD recently I noticed that the way the Raymond Burr footage is edited in the conference scene makes it look like Steve Martin is visibly irritated by Dr. Yamane's pronunciation of the word "phenonemon." it amazes me that it works as well as it does, because the number of changes are really quite staggering. scenes of japanese dialogue are used wholly inaccurately, shots of reactions and things are used for entirely different purposes, and an entire actor is shoe-horned into the story, and yet it WORKS. it's also amazing that by teasing the destruction before the film starts, the movie takes on an entirely different tone. in the japanese version, we dread the appearance of Godzilla. we have no idea what his capabilities are and each appearance could (and does) bring some new terror and destruction. in the american version, we kind of WANT to see the monster. we want to see what caused all the devastation we've seen and how it was done. it's biggest flaw, is that by adding in Steve Martin, a lot of the great character relationships, especially the love triangle, are given minimal treatment. still, it's not only a very interesting film to watch, now that we have the japanese version as well, but it's actually a very good monster movie in its own right. The face that it pushed the love triangle to the backburner is a shame, especially since that's one of the many really interesting things Gojira does that makes it stand out against other genre pictures, but this version is still very good and very fun in its own right. If you are interested over on GameFAQs, the Movies Video & DVD board we have a "Best line from (insert movie here)". Tommorow just happens to be Godzilla King of the Monsters. You have your fear, which might become reality, and you have Godzilla, which IS reality. Might be the best line in ANY Godzilla movie ever, and it's wholly unique to the American version. jellydonut25 wrote: You have your fear, which might become reality, and you have Godzilla, which IS reality. True. I'm also really fond of Burr's monologue at the end of Godzilla 85. Some really great stuff. Hoestly, Raymond Burr's somber deliveries have a lot to do with why I was able to take Godzilla seriously as a small child (before I was sophisticated enough - or had enough bootleg access - to watch the Japanese versions), when most of what was shown on TV were the sillier series entries. Raymond Burr was great in the movie. He never comes across like a typical B-Movie actor. He really sold it and made the chaos of Godzilla's rampage believable. His opening monologue is particularly haunting. That is one thing about the US version that I loved. Telling the story in flashback from the POV of someone who witnessed and for all we know, could be close to death. Re: TALKBACK #1.5: Godzilla King of the Monsters! Since we did not see Tomo at the end with Steve Martin, I guess we could assume he was killed during Godzilla's rampage (which is sad, since I always liked Tomo). In seeing this again recently, both Terry Morse and Terry Morse, Jr did a great job in editing this. I would think it is not easy splicing two movies together and making it a winner, but they managed to do it. And I wonder if there was this big brouhaha in 1955-56 over lack of a trailer for this one. Gwangi wrote: And I wonder if there was this big brouhaha in 1955-56 over lack of a trailer for this one. Back in my day, we did not wait and worry for trailers! This movie is equally as great as the original and is the best Americanization not only for Godzilla, but also tokusatsu films in general. Any Americanization that came after it, was terrible! Last edited by TylerPreston20 on Sat Nov 09, 2013 12:04 am, edited 1 time in total. TylerPreston20 wrote: Any Americanization that came after it, was terrible! This can be depending on preference, I found Half Human and Varan's Americanizations very disrespectful and out of place compared to what was done in Godzilla, King of the Monsters. King Kong vs. Godzilla's Americanization is wasn't bad, but wasn't good and I suppose 85's Americanization version was okay, but nothing came to the perfection of the Americanize version for Gojira, my opinion, of course.